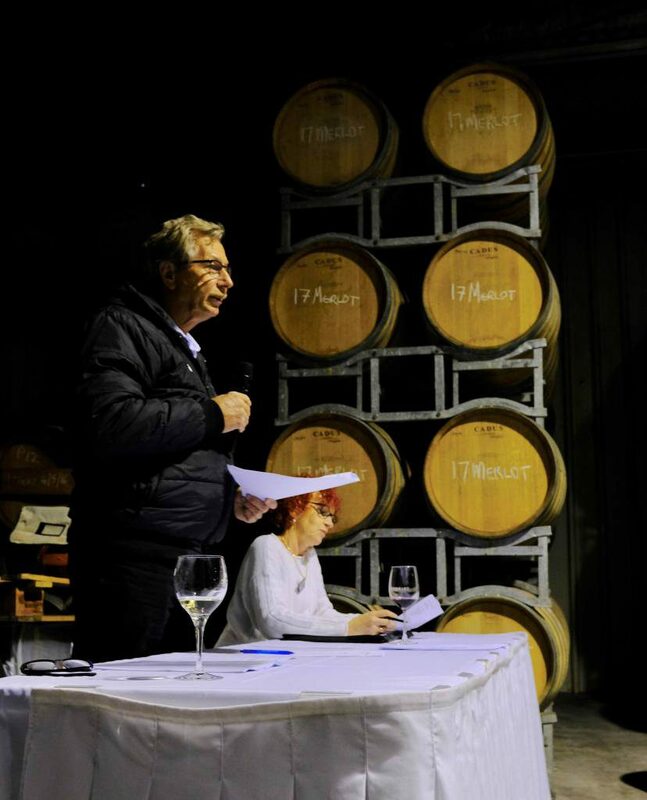 Held this year at the stunning Soljans Estate Winery, it was great to see the 45 strong member turnout at our Club AGM. The interest of so many of our members was a real credit to our Club, although perhaps the wine tour and tasting to follow was an equally strong drawcard. As Club Captain Greg noted, “there’s no reason for AGMs to be a stuffy boring affair” and we proved it! The AGM went very smoothly, and it wasn’t long before we were able to relax with a wine and catch up with fellow members. The existing committee were all re-elected and two new members warmly welcomed; Chris Haliday returning to the role of Club Captain, and Claudia Schoushkoff to the committee. Garry Boyce gave an update on our role as Club host for the Intermarque Concours 2019 event, which will be no small endeavour with planning already underway. Read on for the President’s Report which follows. Then it was wine time. Family owned and run since 1937, Soljans is one of the iconic West Auckland wineries, renowned for its superb wine, food and service. Soljans certainly put on a memorable day for our Club. 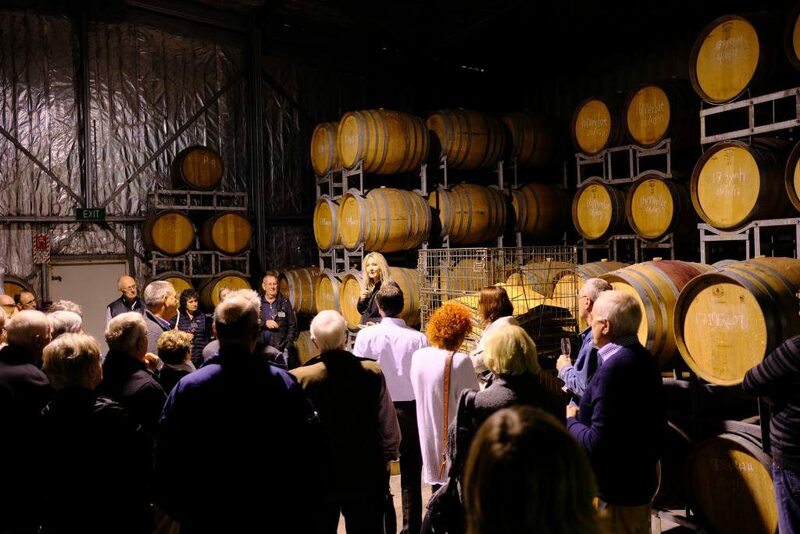 From the excellent private meeting and bar set up in the Barrel Room, to an enjoyable winery tour and tasting by the lovely Sue, whose knowledge and enthusiasm was contagious. 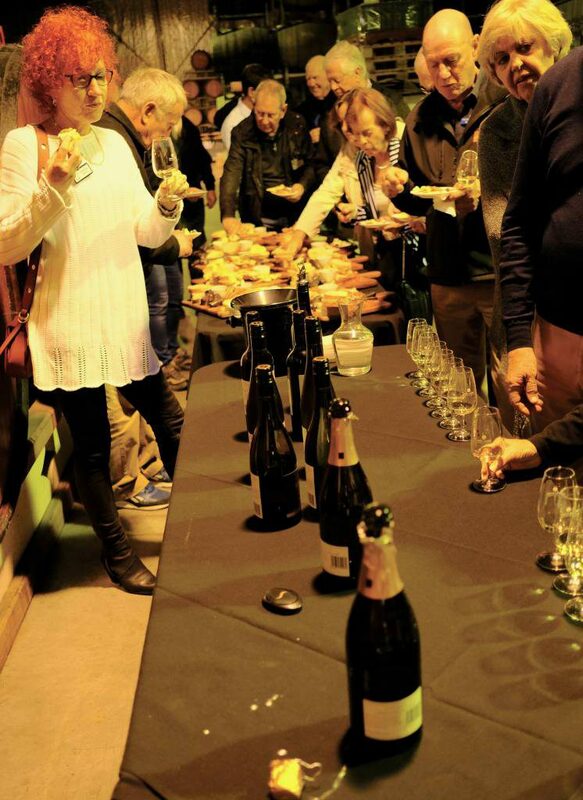 The guided tasting of a selection of five of Soljan’s wines – starting with bubbles, then Riesling, Chardonnay and a blended Red, with a Tawny Port finale – along with delicious food platters, was a delightful end to the day. Our only problem… it’ll be a hard act to follow next year! 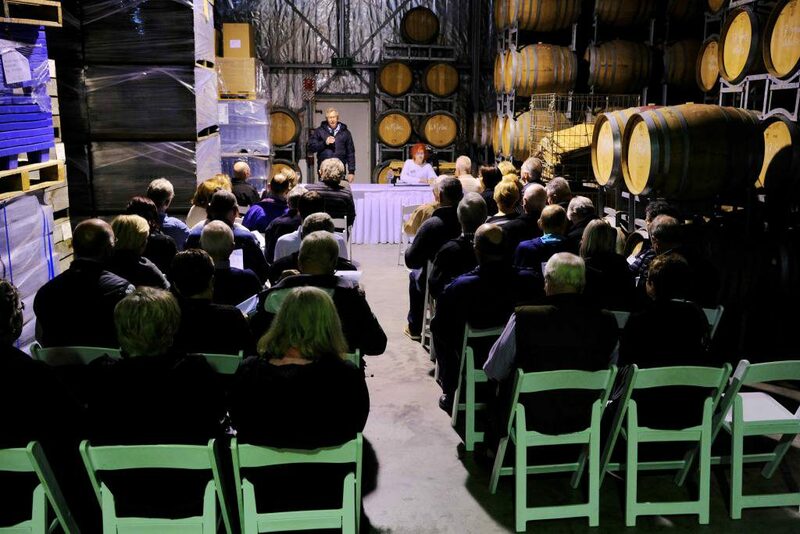 Good afternoon Ladies and Gentleman and welcome to our 2018 AGM here at the Soljans Estate Winery. This interesting venue had been suggested by our Editor Alison and is a nice change to our evening events. Our membership currently stands at 108, up from last year’s count of 93 at the same time. This is a result not only of the bi-monthly published magazine but also due to our superbly designed and well maintained website by Alison and likewise our highly successful Facebook site which had been created and is maintained by Barbara. I can honestly say that these two ladies are instrumental in “getting out the word” to attract new members. November Auckland Parks Run, featuring the rebuilt Japanese Garden, the colourful Parnell Rose Gardens and the newly created Wetlands at Stonefields. February Classic Car Show and Intermarque Concours. Despite a dismal display by the weather gods our Club fared really well this year, getting 3rd place in the Club event titled “Women and the Marque”, getting first place in the Team’s event showcasing Garry’s duo of 300 SL roadsters, and getting first place as well in the Masters Class, a 190SL Lloyd Marx restoration project entered by a fellow club member. April Top Down Tour 5, a successful tour and as the number suggests now in its fifth year. I would like to thank all those good people being involved in organizing these events. On the National Club level, I can report that at the Executive meeting preceding the recently held National AGM in Christchurch it was finally resolved that the levies charged to the Regional Clubs will be reduced as of 1st June 2018 to a level that your Auckland Club does not need any longer to subsidize your membership fees out of its saving pool. The National AGM then was attended by six of our Auckland committee and Club members who experienced a very smoothly and amiably run event during which course the previously resigned National committee was replaced with four nominations from Auckland, all voted in unanimously. This means that the present Auckland committee members have stepped up to take on additional roles to serve all Clubs on a National level. In return I am asking all Auckland members to support your Club and show your appreciation by turning up to the monthly held events or even better, to support your Club by lending a hand as a committee member. This concludes my report. I wish you all the best and please enjoy the food and wine selection on offer.